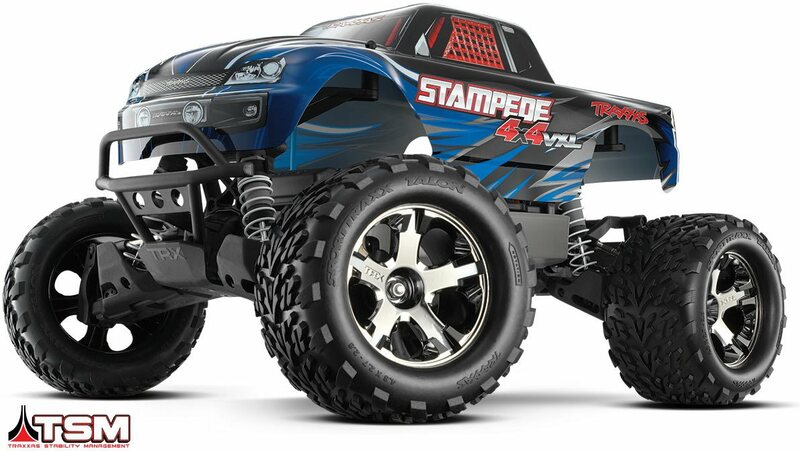 The Stampede 4X4 VXL is engineered like no other to turn extreme power into extreme monster truck fun! 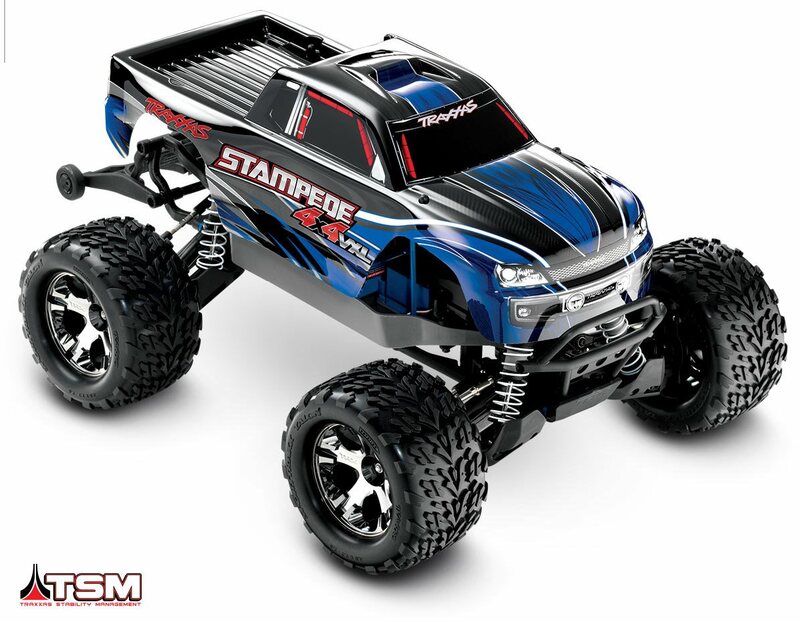 Traxxas Stability Management (TSM) lets you experience Stampede's extreme power, speed, and velocity by making it much easier to manage on slippery surfaces such as loose dirt, smooth concrete, and even ice and snow. 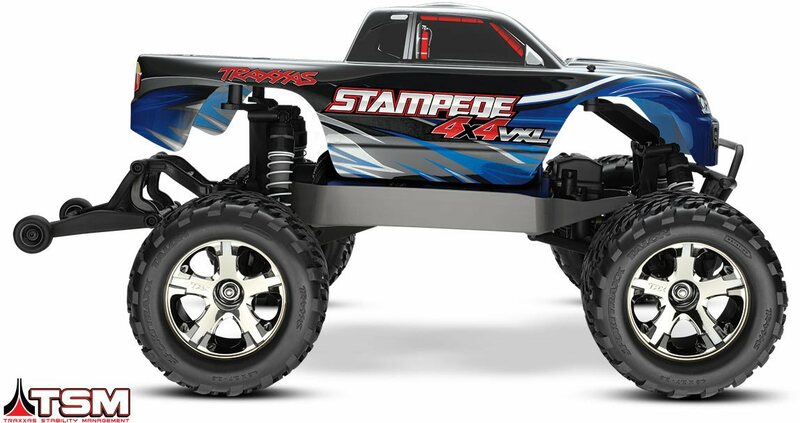 The effective, low-mass drivetrain is completely optimized for the brutal torque of Velineon brushless power, and following the legacy of the Stampede name, this 4X4 is overbuilt and Traxxas Hard to endure all the 4-wheel drive monster trouble you can dish out. The trademarked adjustable wheelie bar is needed equipment as Stampede 4X4 launches hard, sending out the front wheels soaring for the sky. 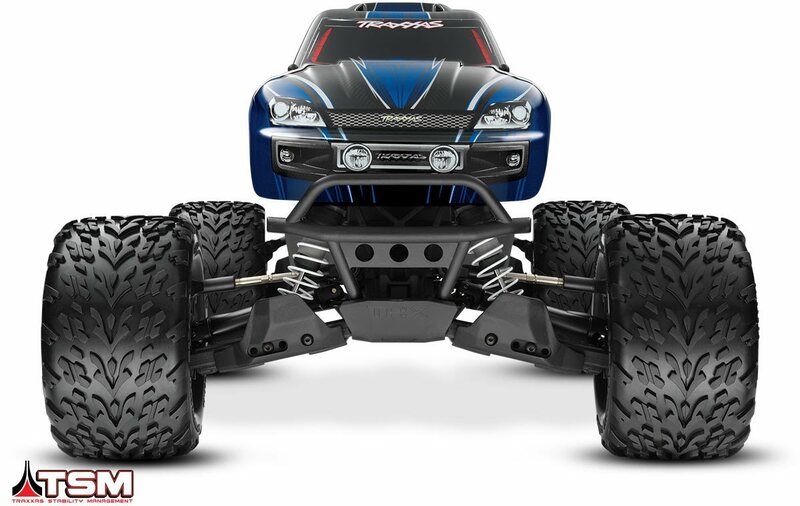 You're in full control with the Traxxas TQi 2.4GHz radio system and the remarkable handling of completely independent suspension and smooth bellcrank steering. Choose a 7-cell NiMH battery (offered individually) for 35+mph speed or install a THREE LiPo pack, and Stampede 4X4 shatters the speedometer with 60+mph speed! It's brushless done the Traxxas method: brutally quick and easy to use. America's A lot of Popular Beast Truck! Severe Brushless Power For a Top Speed of 60+mph!